Let us turn your design into a fully functional, high quality, cross-browser compatible WordPress theme that is compliant with Wordpress standards. 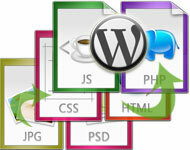 Our specialty includes custom theme admin page for most themes which lets you have complete control over your site. Already have an HTML design? 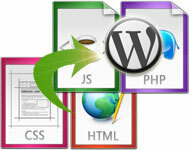 Let do a quick conversion to Wordpress with custom control panels and widget enabled sidebars. Our work is always uptodate with latest wordpress versions and is compatible with all plugins and widgets out of the box. We have not only worked on some of the most popular WordPress plugins but also have our own fleet of soldiers like Wp-Insert. Our experience with maintaining our own plugins has helped us a lot in understanding how an average users interacts with plugins which helps us to develop heavily optimized and user friendly plugins. A blog not only helps with SEO but also help build credibility and increase returning visitors. Make you blog a part of your website and not stand apart. Sharing the same layout and navigation as other parts of the website is always known to build more credibility and in turn increase conversions for your website. 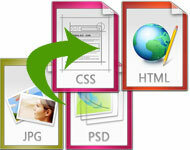 We convert your designs to high quality, cross-browser compatible valid XHTML/CSS markup. Contrary to most other services our designers are also expert programmers and we know how to make the most extensible and reusable HTML. 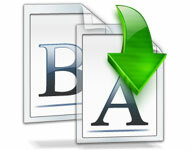 Need to search for domains available for a particular keyword? Need to create you next billing application for your store? A domain name is essentially a signpost on the Internet. Having the "right" domain name can make it easy for your customers to remember. 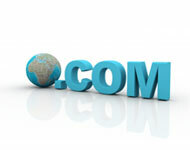 We offer domain name registration that is more affordable than many other companies. 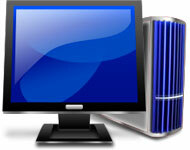 Save up to 50% on your domain name. We and our partners have invested in infrastructure deployments at various locations globally. 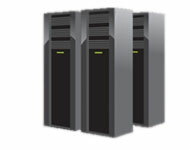 Our Datacenter is a cluster of globally distributed redundant servers of various different operating systems to provide you or your Customers with a myriad of hosting options.